What makes it easier for CSRs to engage with your customers? "What makes it easier for CSRs to engage with your customers?" Delivering a great customer engagement is something every brand is striving for. Better customer engagement brings new ways to strengthen customer relationships through technological breakthroughs. Customers get the service they deserve when the Customer Service Representatives (CSR) is able to pay attention to what they are saying. They are less likely to have to repeat themselves if the CSR isn’t distracted by a nagging headache. The way CSRs engage with your customers will determine the customer experience and that, in turn, represents the brand experience. What area of your business is delivering on that promise through the customer experience? What are the measures that add up to better engagement between a CSR and your customer? All-in-one headset control. All in the cloud. PERSONAL HEADSET CONTROL FROM THE DESKTOP In the era of digitally empowered consumer, customer experience is a key business driver. Effortless management of headsets by IT and efficient headset control provides users with well-maintained devices that enable them to confidently engage with customers and ultimately improve the customer experience. When every call is critical, it’s essential that the customer service representative should be as effective as possible. It means being equipped to hear and be heard clearly, every time, and it starts with having a well-functioning headset. This whitepaper provides insights on how IT takes control of headsets company-wide, proactively managing user needs. 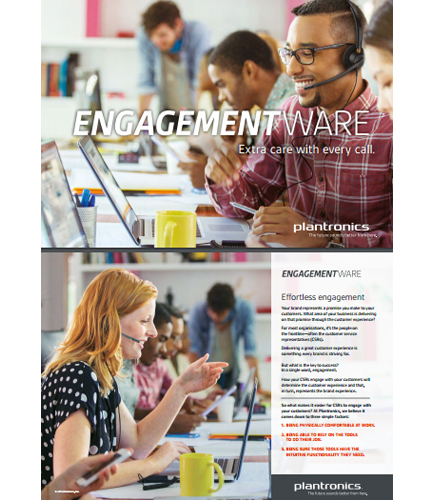 Key takeaways from this whitepaper: Is there a better way to manage your organization’s headsets? Why headset visibility matters to IT? How can IT organizations monitor, manage, and maintain headsets in near-real time? What is Customer Experience Management ? What is CRM System ?